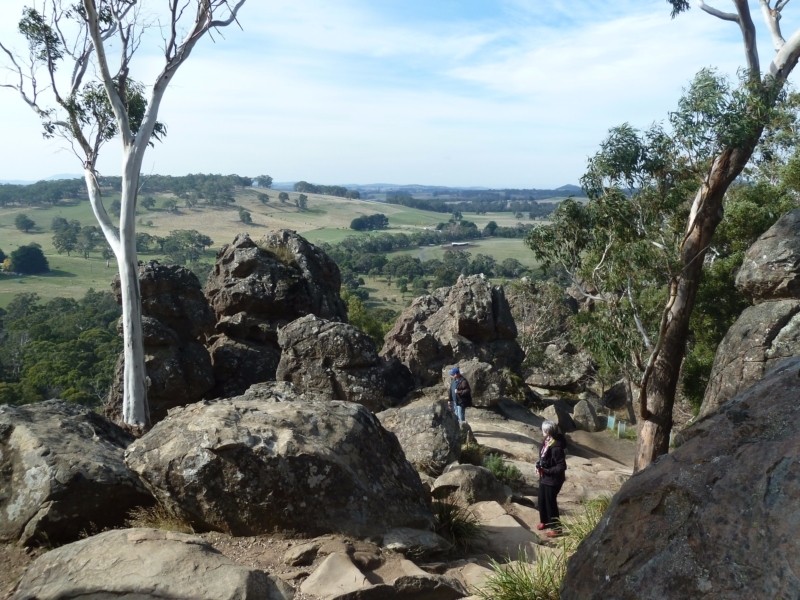 Explore the famous Hanging Rock on this short but invigorating walk to the summit and reward yourself with great views in every direction. 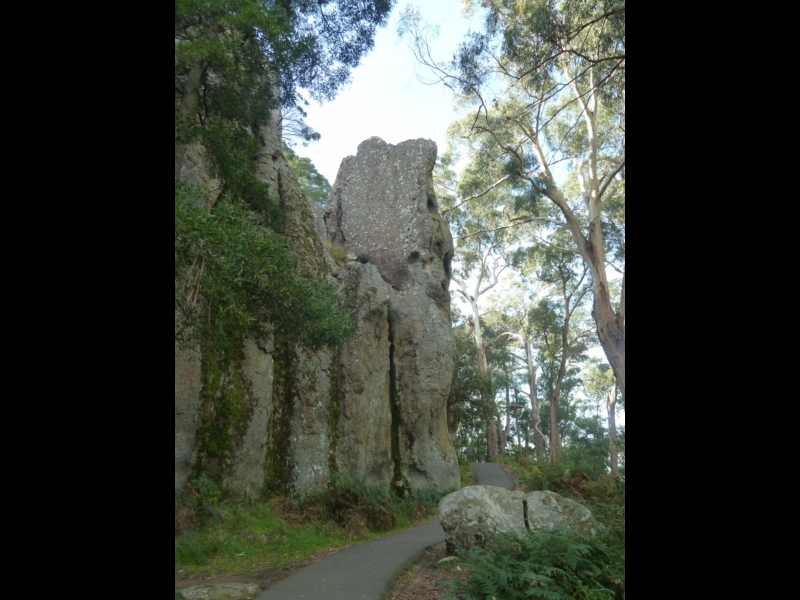 This is the classic walk to the top of the beautiful Hanging Rock. 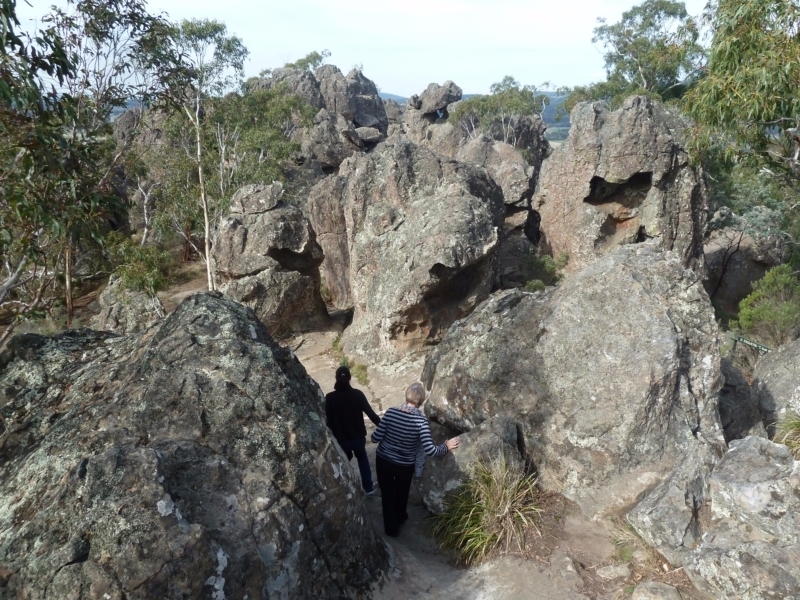 The walk can be completed quite quickly, but allow an hour to explore the rock formations and admire the views. The walk is also quite steep, great to get the blood pumping but you may want to rest on the way up. The top of the Rock has a myriad of rock formations to explore - fantastic for kids (and the young at heart), as long as you are confident they can explore safely on their own - it's easy for them to disappear behind a rock for a while. 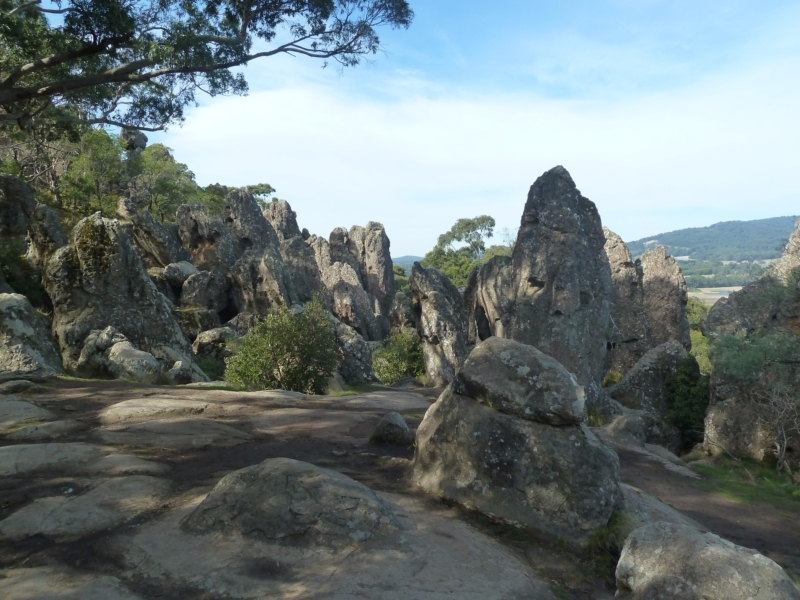 There is a perfectly good cafe here, but why not have your own Picnic at Hanging Rock? 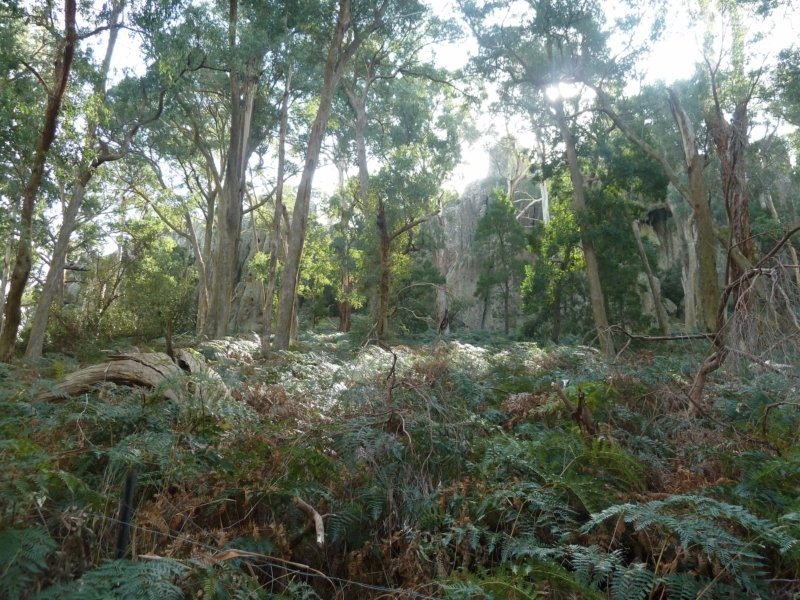 The surrounding parklands are perfect for it! Facilities include free gas BBQs, shelters, good toilets and a small playground. 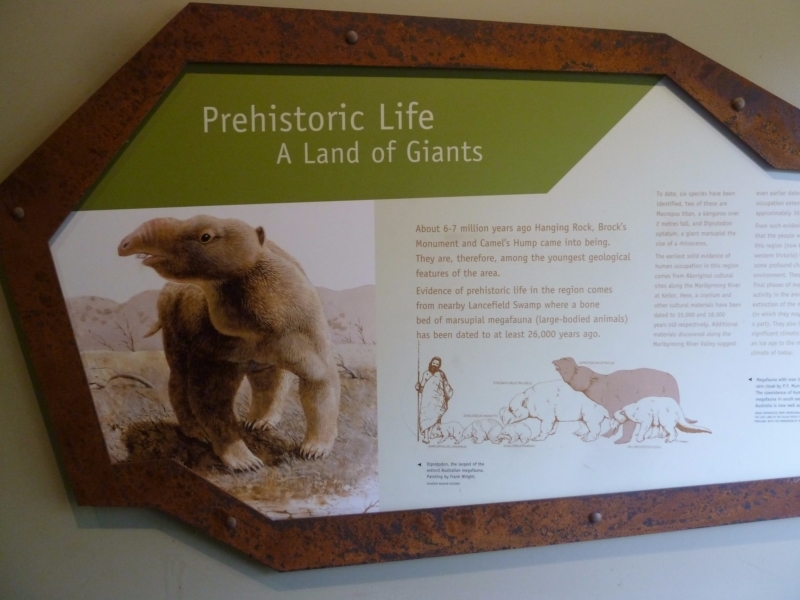 Note there is a fee to enter the reserve - currently $10 per car. 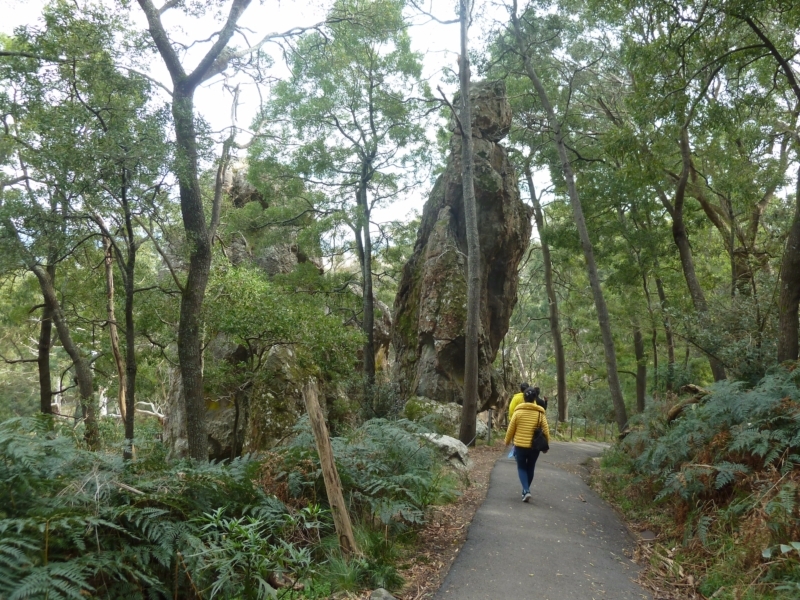 This is a very popular walk and the picnic areas are also often busy - go on a weekday if you don't like crowds. 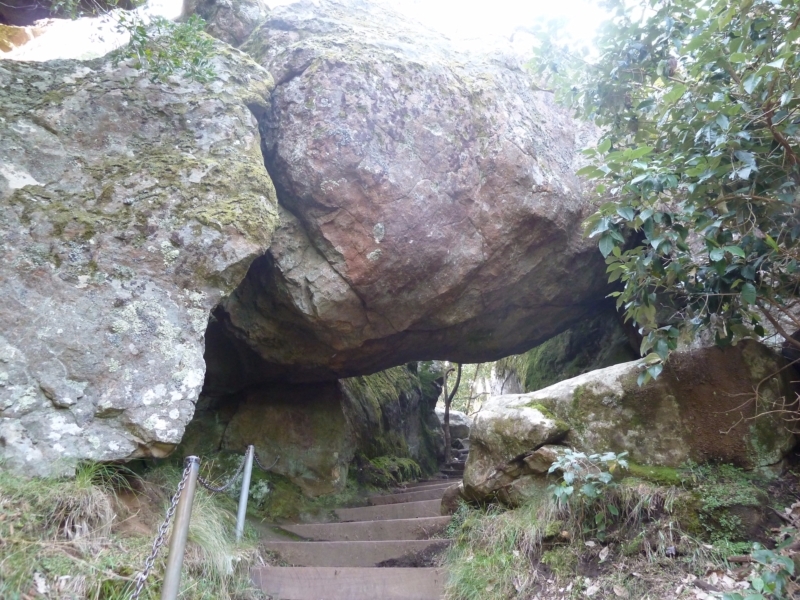 Alternatively, try one of the other walks in the reserve like the Hanging Rock explorer also on this website (or check the information board near the cafe). Note, there are no dogs allowed on the summit walk. Congratulations, you've made it! Take the time to play in the maze of rocks around the summit. You might lose the track up here but don't worry, you'll find it again. 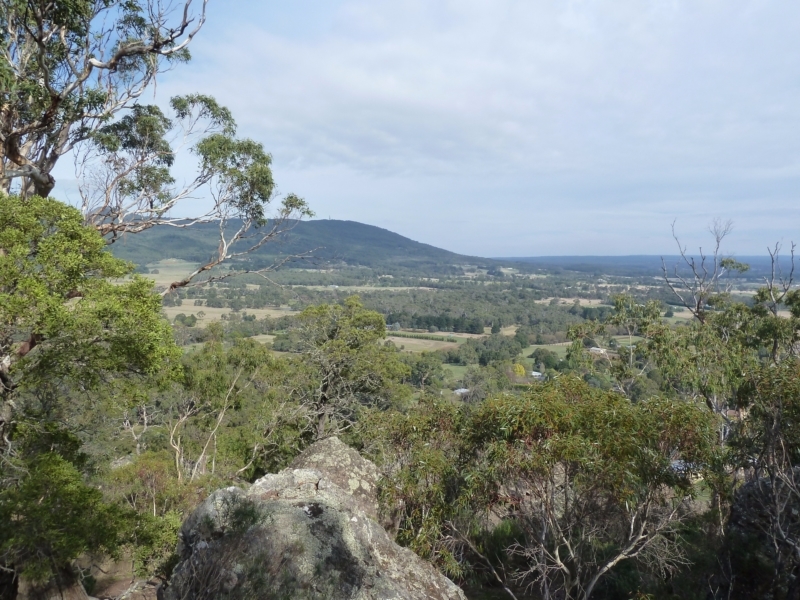 At various points you will get glimpses of Mount Macedon amongst the views in all directions. Take the loop back to go past this tower of rock. 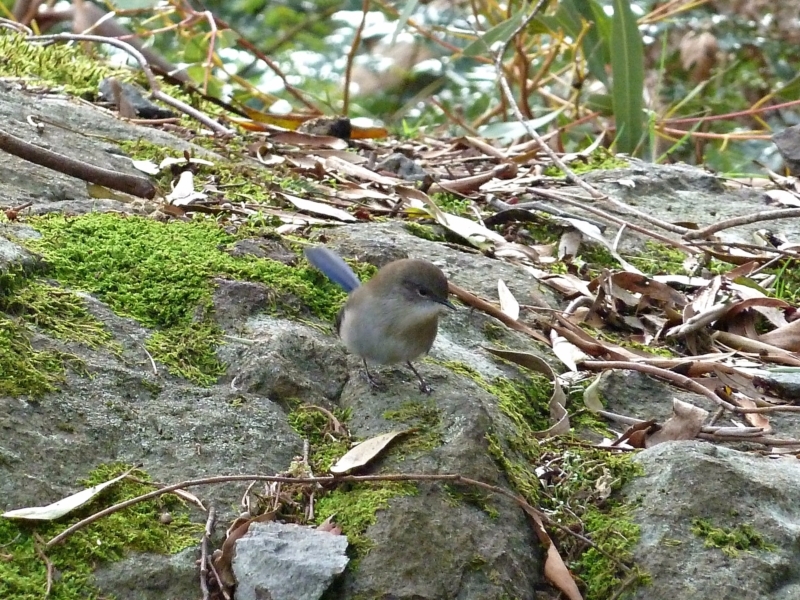 Make sure you keep an eye out for wildlife like this superb fairy-wren, especially in the forest. If you are lucky you might even spot a koala.